If you don’t like sweet corn, I am truly sorry. I hope I haven’t lost you forever with yet another corn recipe. But if you love sweet corn as much as I do and are trying to make the most of it while it’s in season, this one’s for you! 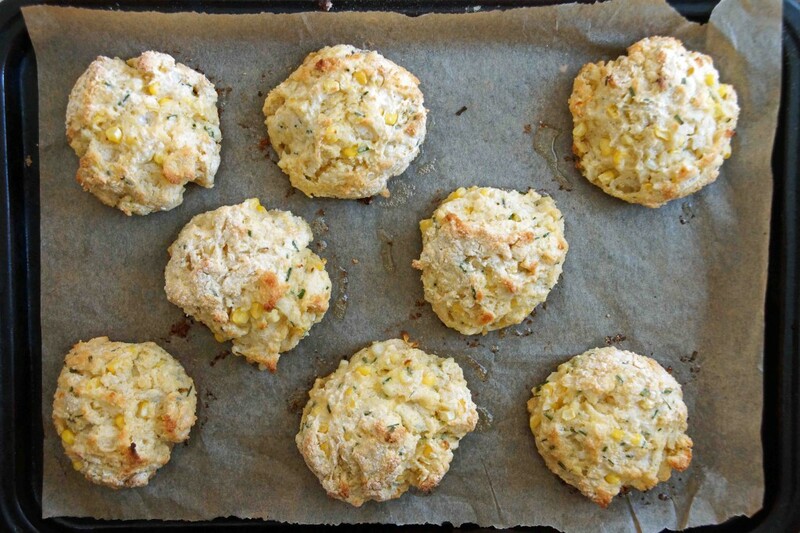 We’re doubling up on the corn-love by making sweet corn AND cornmeal buttermilk biscuits. Straight from the oven, spread with butter and dolloped with tomato jam, they are straight from summer sweet corn heaven. 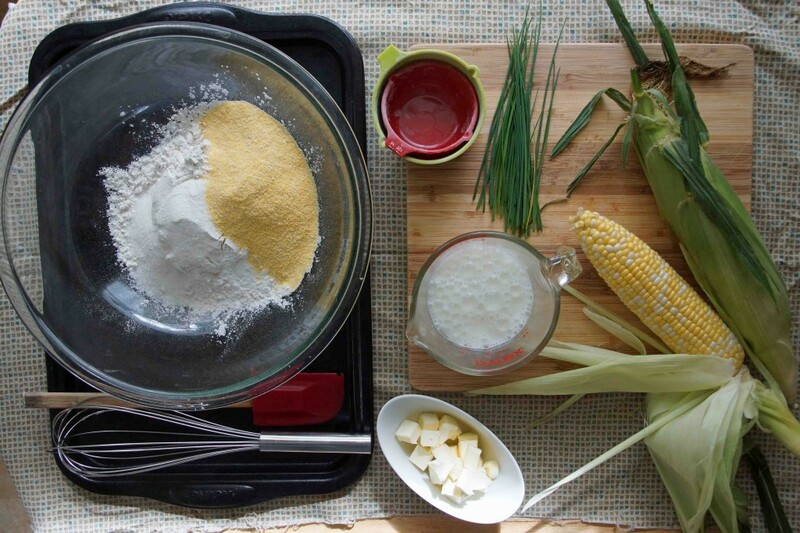 They might be my favorite way to use fresh corn…until next week. Did I mention they go together faster than your coffee brews? Score. That’s the kind of breakfast baked good I really get into. Just whisk together flour and cornmeal with baking soda, a little sugar, and a bit of salt. Cut in cubes of cold butter. Nope, I still haven’t found my pastry blender. 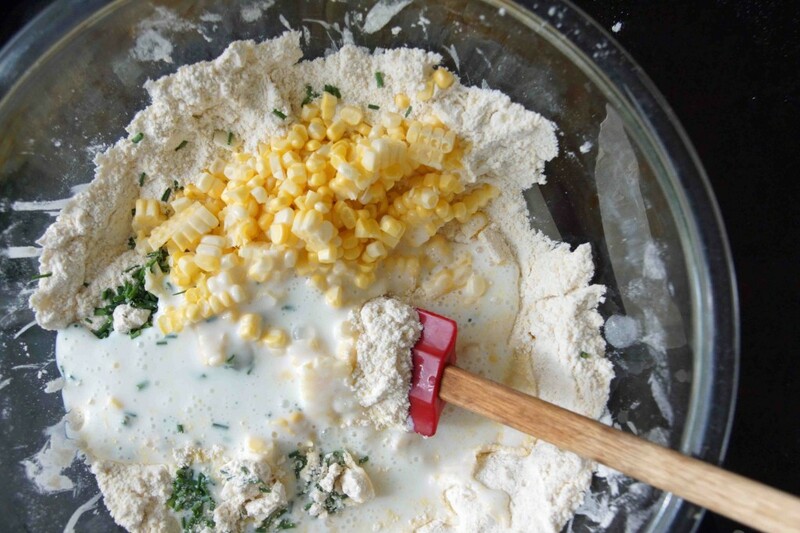 Add fresh-off-the-cob corn, buttermilk, and chives, then stir ’til it just comes together. Dump. Smoosh and give it a quick knead. Form a disk and divide in 8. …then into my belly. I ate mine with butter and tomato jam and fantasized about a adding a strip or 2 of bacon and a poached egg. Next time. 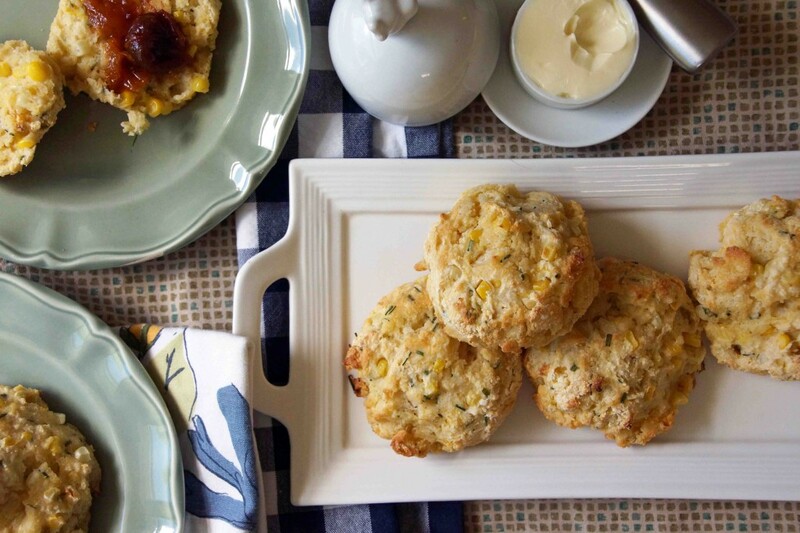 These biscuits are amazing spread with soft butter and tomato jam. I imagine they'd also make an excellent base for a summery riff on eggs benedict. Combine flour, cornmeal, baking soda, sugar, and salt in a large bowl. Whisk until well combined. Scatter the cold butter pieces over the dry ingredients. 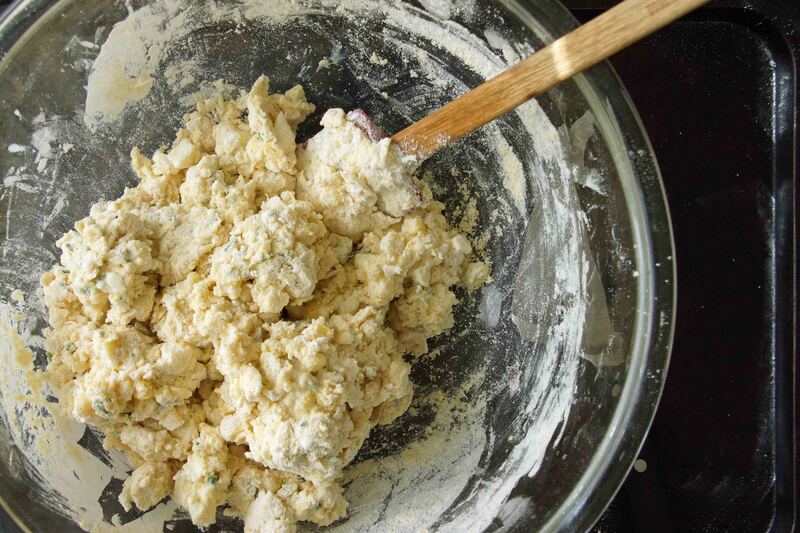 Cut the butter into the dry ingredients, using a pastry blender or 2 knives, until the mixture is crumbly and the butter resembles small pebbles. 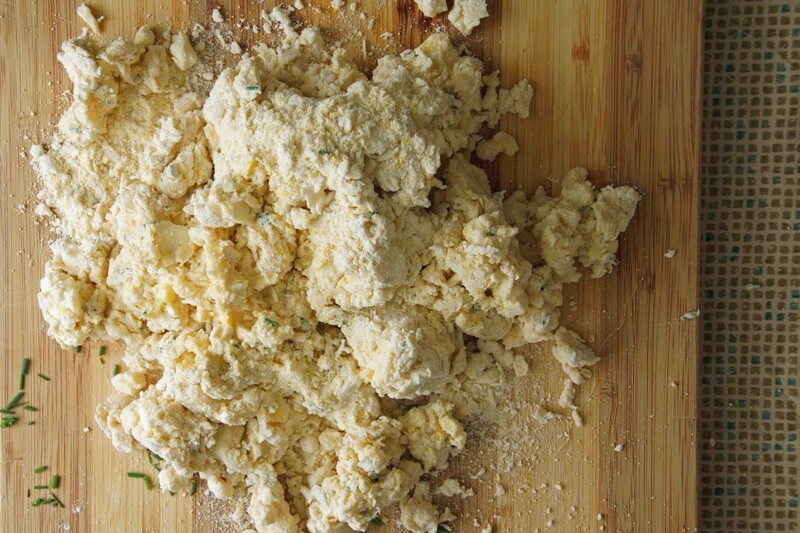 Alternatively, you can use a food processor and incorporate the butter using several short pulses. Add the corn, chives, and buttermilk and quickly stir together with a rubber spatula until the mixture just begins to come together. 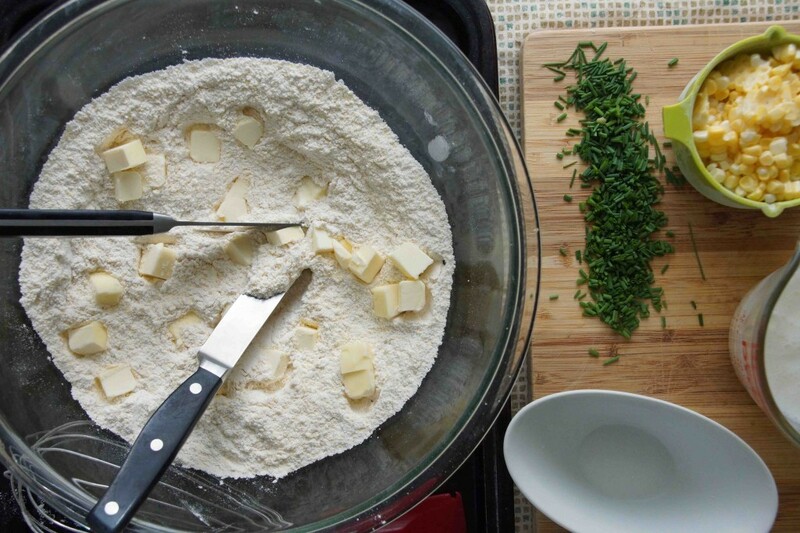 Dump the floury pieces of dough onto a countertop or board and quickly knead to form a cohesive mass. 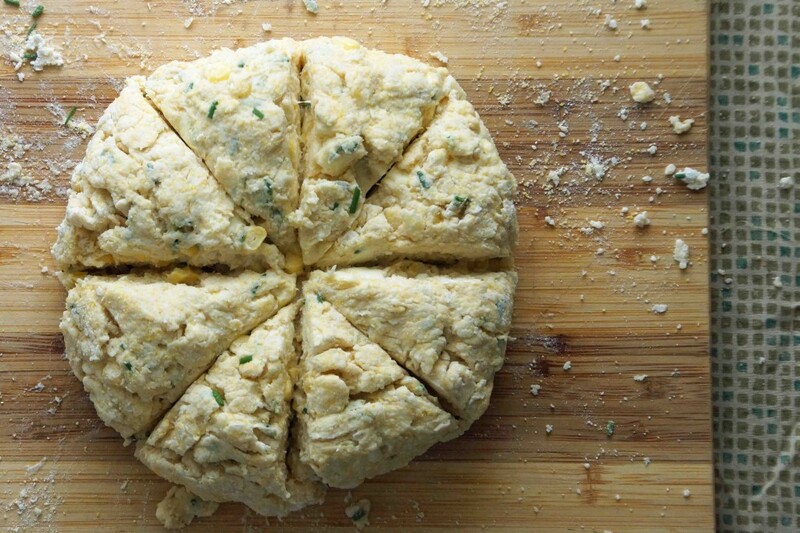 Divide the dough in 8 pieces and quickly roll into a ball. 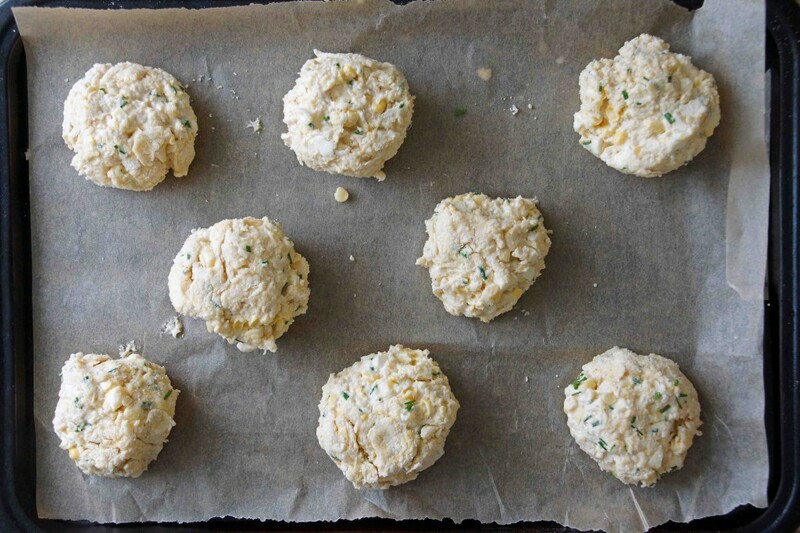 Place the dough balls on the baking sheet and bake until lightly golden 15-16 minutes. Serve warm.